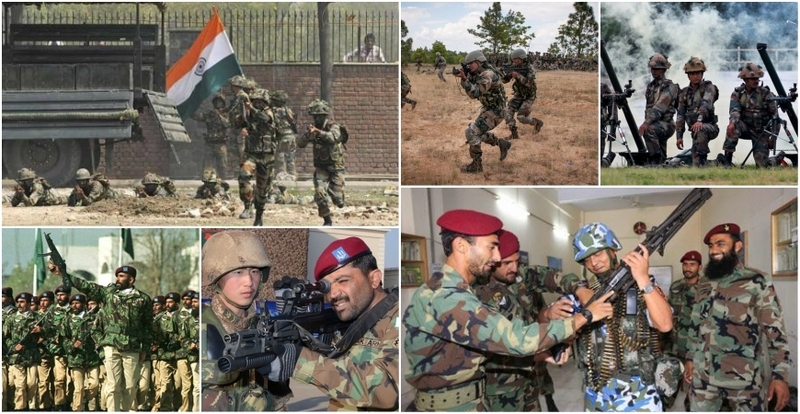 Moscow, May 1: For the first time in history ever, archenemies India and Pakistan set to participate in a multi-nation counter-terror exercise, titled as ‘Peace Mission 2018’. Indo-China's Shanghai Cooperation Organization (SCO) has definitely bloomed out the optimistic results as the military exercise is going to take place under the framework of SCO. India has always been a humble and modest contributor on humanitarian grounds and world peace. Peace Mission 2018: Peace Mission counter-terror military exercise will be held in Ural Mountains of Russia where all SCO member countries will be taking part. Peace Mission exercise aims to enhance counter-terror cooperation among the eight SCO member countries. The SCO was founded at a summit in Shanghai in 2001 by the Presidents of Russia, China, Kyrgyz Republic, Kazakhstan, Tajikistan and Uzbekistan. But this will be for the first time since Independence that India and Pakistan will both be part of the military exercise, though armies of two arch-rival neighbouring countries have worked together in UN peacekeeping missions. 15th meeting of the Shanghai Cooperation Organisation's (SCO) Defence Ministers kicked off on 23rd and 24th of April, where Defense Minister Nirmala Sitharaman confirmed about India’s participation, saying "India will participate strongly in SCO’s Peace Mission joint military exercises being held in Russia later this year. We believe that cooperation in SCO framework will help further strengthen India's bilateral defence ties in the region." During the meeting, the heads of defence agencies pitched for the strengthening of defence and security cooperation. The participants in the meeting reaffirmed their commitment to enhancing trust among SCO member states on military matters and working together to counter new challenges and threats, as well as ensuring that peace, stability and security in the region remain priorities for SCO member states. The participants expressed their readiness to take part in the joint military counter-terrorist exercise Peace Mission 2018, which is to be held in August 2018 in the Russian Federation. Global scenarios are changing as ‘wars’ and ‘attacks’ won’t take us to the top! Looking at a reunion of Korean leaders, Indo-China’s informal summit, the world is heading ahead towards mutual development, peace and stability. This would be another breakthrough in Independent India’s history, that India-Pakistan’s military would participate in Peace Mission 2018. During Modi-Xi informal meet, India-China also pledged together to strengthen communication, build trust and mutual understanding and “enhance predictability” and “effectiveness” in managing border affairs.